Pixelated games are big business these days, and it’s not surprising that pixel artwork has become popular too. 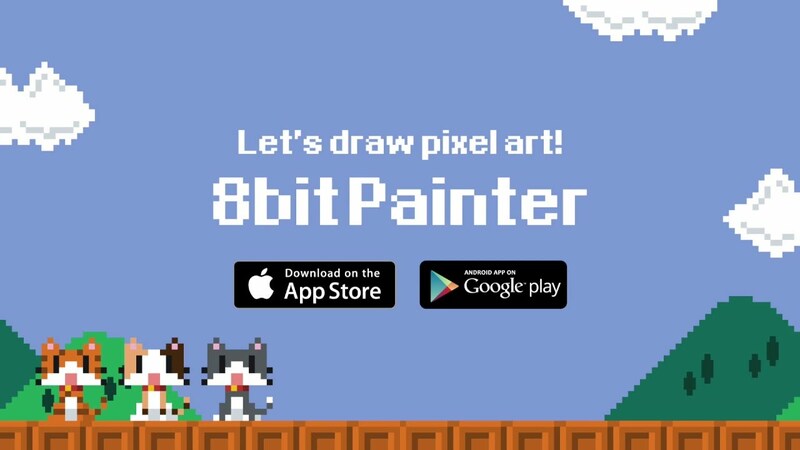 Now with 8bit Painter from OneTap Japan, you can create pixel style artwork from your Android or iOS device. Unlike other drawing and painting apps, 8bit Painter seems to be much easier to use. When you launch the app you can start a new project or launch the tutorial. If you decide to create a new project, choose a grid size first. The app loads the workspace and you’ll see how intuitive the interface is. The tools include a pen, eyedropper, eraser and color picker. Basically, you just tap the tool to select and start painting. The tools are self-explanatory and you should have no problems figuring out how they work. 8Bit Painter is also responsive so it’s easy to get the hang of it. You can turn the grid on and off and move the pixels if you want. As for the canvas, it can be as small as 16 x 16 or up to 128 x 128. Its color palette has support for up to 24 colors so you can get pretty creative here. Apart from the drawing and painting tools, you can also flip the image. You can save the image in PNG and share it with your friends online on Twitter and Facebook. All in all, 8bit Painter is a cool app that allows you to unleash your creativity. There aren’t a lot of good pixel art apps, but 8bit Painter is definitely one of them.